It’s a new year which means that the internet is buzzing with 2016 predictions. This includes predictions on which eCommerce trends will be the hottest in 2016. We’ve rounded up eCommerce predictions from a variety of industry experts. Here’s what they’re saying…. The most talked-about prediction of 2016 is that smartphone revenue will overtake desktop sales. Now that 80% of internet users own a smart phone, this could be a real possibility. As the Huffington Post points out, this trend has made its way onto lists for the past several years, but in 2016, it might just become a reality. Mobile traffic to eCommerce sites has increased by 5% over the past year, and it shows no signs of slowing. The increased reliability and speed of mobile networks is also contributing to the ease of the smartphone and tablet shopping experience, leading to increased sales. 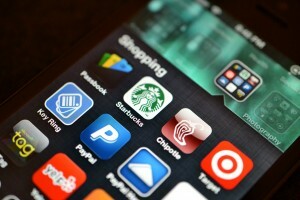 Mobile sales are rising, but so are internet sales, in general. 2015 was a record-breaking year for online sales and experts predict that this will increase by up to 45 percent in 2016, reaching 327 billion in total revenue. Online shoppers are expected to increase their spending as well. The average shopper is expected to spend about $1,738 online in 2016. Just as with mobile shopping, internet shopping as a whole has become easier. Smarter marketing campaigns and social media engagement is contributing to the uptick in eCommerce sales volume. Amazon has long been considered a household name, but 2015 represented record-breaking growth for the eCommerce giant. A Macquarie Research study reports that Amazon accounted for 24 cents of every $1 spent online in 2015 and experts predict that this is just the start. The growth of Amazon sales is largely attributed to the success of Prime. The perks of prime, like unlimited two-day shipping, video and music streaming has led to unprecedented customer loyalty, along with a big jump in sales. The online shopper of 2016 demands options and greater personalization. Wading through a ton of irrelevant content is not what the shopper wants, especially when using their mobile device. Shopping via smartphone is now an expectation, rather than a perk. If your site isn’t optimized for mobile devices, you’re losing access to the over 30% of online shoppers who are using their phones to make purchases. If your site isn’t optimized for mobile, 2016 is the year to make it happen. eCommerce retailers that don’t have a seamless mobile experience risk losing customers. With the rise of Amazon, shoppers have also come to expect fast and inexpensive shipping options. This will continue to put pressures on margins but the alternative is losing the customer entirely. Most retailers will look for creative ways to bundle shipments to lower costs. Managing the diversity that online selling requires and keeping up with the latest trends can be a hassle. But if you intend to grow your eCommerce business and stave off competitors, it’s important that you evolve along with the ever changing behaviors of your customers.